This weekend, for a change, we thought would point you to a podcast. Time 4a pint is a watch-related podcast hailing from London that has spawned a series of GTGs that have allowed some of its listeners to meet ‘over a pint’ (or perhaps even two) to discuss watches, clocks, and all manner of timepieces. In these podcasts, host Chris Mann talks to a guest about watches, and particularly about the watches they own and bring with them to the recording session. The latest episode is Chris in conversation with #thewatchnerd, who is both friend and contributor/ part of the Horologium family. 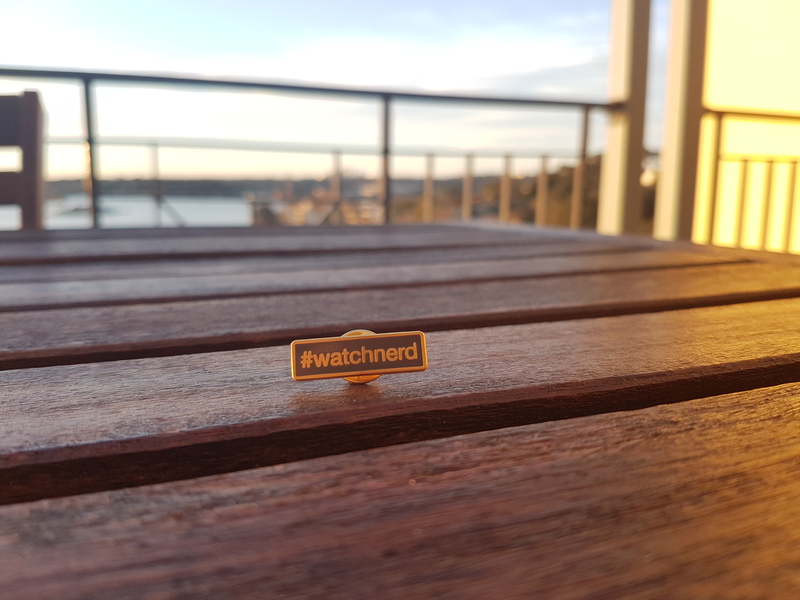 He is also the force behind the #teamwatchnerd (check the hashtag on Instagram) pins. If you have one of his pins, given either directly by him or in some cases, by me as his representative, you can see a list of other pin wearers (bearers?) at this link. To listen to the podcast, which covers everything from the Antiquarian Horological Society to MB&ampF’s Aquapod to Bremont, Peter Speake-Marin to Tudor, with even a bit of Timex technology thrown in, click on this link. You will also find information about Time 4a pint and all previous episodes, at the same link. I would also like to thank #thewatchnerd for the unexpected mentions.